After reading another builders blog, I got inspired to work on the light in my own holo projectors. 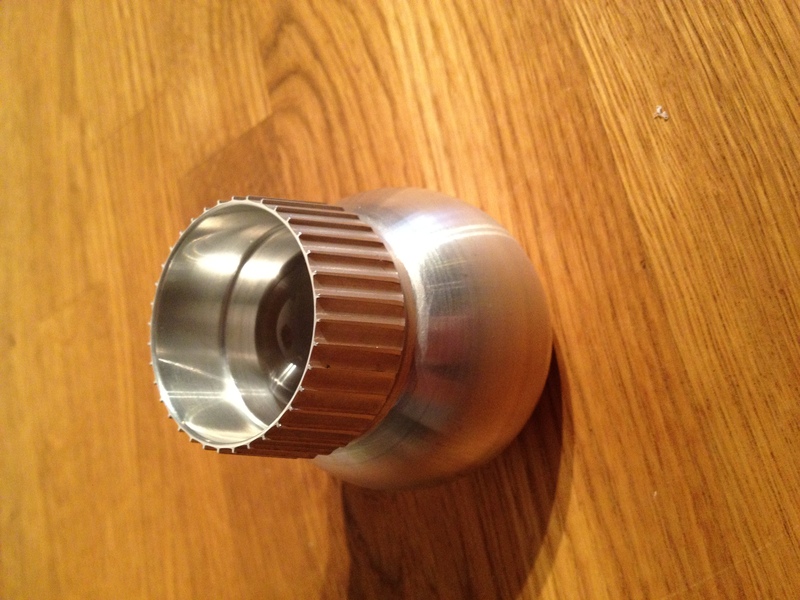 These are CNC:ed out from aluminum, and just beautiful. I figured I’d find a way to attach these into the HP’s along the way. No idea how to actually do it at the time. After opening them up, this is what I was left with. By looking at the battery holder, it is the central point that is the plus sign, and any/all of the four outermost soldering points that are the negatives. This is where I will solder later. Now, by looking at the size of that thing, I had an idea. 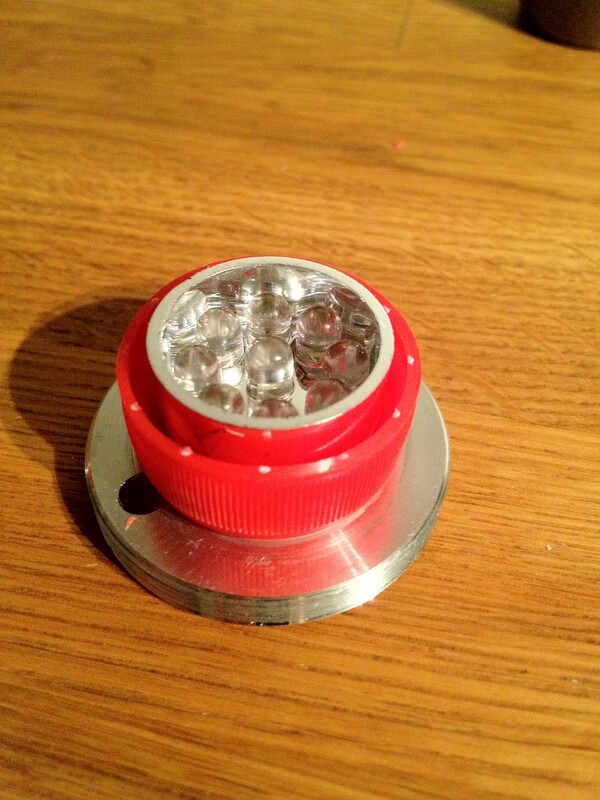 the inside of the LED light is just slightly smaller than a normal bottle cap. Being Christmas, I had to use bottle caps from “Julmust”, which is a christmas brew only available in stores around Christmas. Good thing, as it is SOO tasty! So, long story short: It is a simple task of soldering 2 wires, one to the middle, and one to any of the four end points of the LED board. 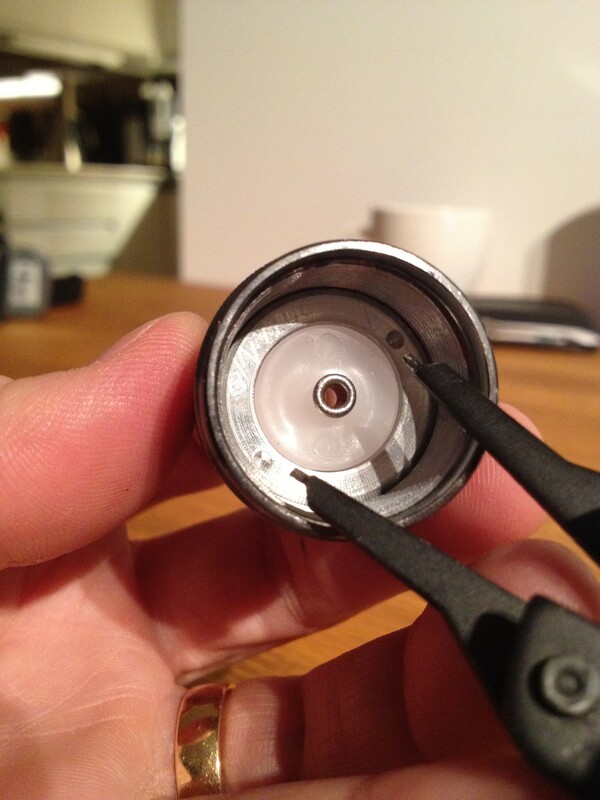 I then cut open the cap from the side to allow for the cables, and filled half the cap with hot glue. This will also serve as insulation for the center screw. Once this was done, I like another builder, too had the issue with the LED lights showing when lighting something, so I needed a diffuser. I also noticed that the very RED bottle cap could partly be seen on the very edges of the lens inside the HP. My solution for this was simple. I used a glossy, slightly thicker part that I have for my color laser printer. 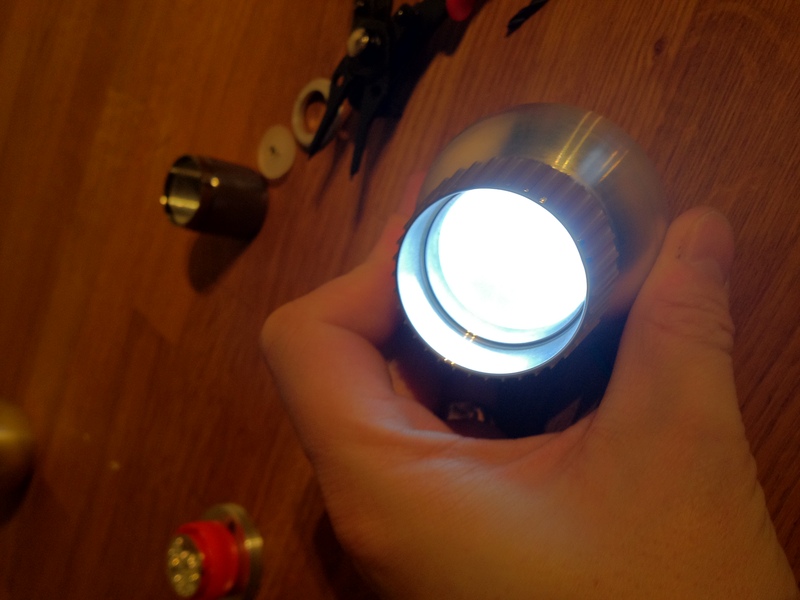 I superglued a disc of paper on top of the LED, and also, for good measure put a dab of glue and put the original lens from the LEDlight on top of the whole thing.